Young Ladies' Radio League, Inc.
Don't have an HF antenna or radio? Click on the frequencies listed above to listen via WebSDR! The Ladies of the Net event planned for June 2nd will be a Museum Ships Weekend Special Event activation aboard the USS Lucid in Stockton, CA. The ship is located at; 3100 Monte Diablo Ave, Stockton, CA 95203 GPS; 37.954793, -121.343048 We will be on the radios on Saturday, June 2nd, starting 1 PM PT (2000 UTC). We will be using the ships call, N6MSO. Please bring your own headset and keys. It will most likely be warm in Stockton, so dress accordingly. If you have a folding chair, it would be a good idea to bring it, although there will be many chairs and tables on the ship. Also, if you are planning on staying for the dinner, you should bring a lightweight windbreaker, as the wind can come up and blow down the river from the west. There will be a catered prime rib dinner, on the ship, at 6:30. The cost is $15/person, and payable "at the door". To help them plan, please sign up at; http://www.w6sf.org/eventsignup.html It will give you the option to prepay or pay at the door. I thank the Stockton Amateur Radio Club and the USS Lucid volunteer crew for allowing us to participate with the Museum Ships Weekend I hope to see many of you on board the Lucid. P.S. Please forward this notice to any YL's that might attend this event. The USS Lucid is MSO-458 (N6MSO) is a 173 foot wooden Mine Sweeper “Ocean-Going” anchored about one mile west of the I-5 freeway, on the San Joaquin River at 3100 Monte Diablo Ave, Stockton, California 95203. Any ladies interested in participating may contact Emilia KI6YYT at dentist12001@yahoo.com for further details. A beautiful commemorative certificate suitable for framing will be issued to all those who participate. Please plan to attend and meet our friendly group. 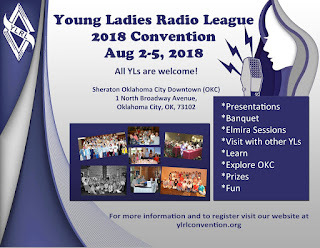 The Young Ladies Radio League (YLRL) will be holding their 2018 Convention in OKC, OK. This convention only happens once every 4 years. All YL's are welcome. We encourage you to become a member of the club, but it is not required to attend the convention. Come visit with other YL's, put a face with a name/call sign. Find what other ladies are doing both with HAM Radio and other things. We will have some classes, VE Testing for those wanting to upgrade, as well as local tours, and a banquet. OM's are welcome to portions of the convention. We are working to have some local OM's available for visiting OM's. 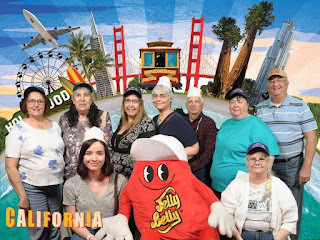 The YL Forum was held at the 2018 International DX Convention in Visalia, California on Saturday April 21 at 1:00 pm for all YL amateur radio operators and members of YL clubs and groups. Individual YLs and representatives of YL clubs and groups shared at the forum. The forum was open for all who attend to discuss their interests and activities and ways that we can network together. A panel of (Left to right) Vicki Zumwalt, N6KLS, Linda Souder, W6QE, Vjolica Belagu, Z61VB, Joan Sieber, N6KIM, and chaired by Gayle Jacobs Olson, K6GO, entertained audience questions. There were interesting questions on a range of issues such as: historical background information and current achievements, issues and challenges that women face in the amateur radio community. Sandra Heyn, WA6WZN, (9/27/1943–4/28/2018) of Costa Mesa, California, died at home on April 28th following a three year battle with cancer. She was 75. Sandi was a member of the Orange County Amateur Radio Club, the Palomar Amateur Radio Club, the Quarter Century Wireless Association, the Southern California DX Club, the Young Ladies Radio Club of Los Angeles, she was a past officer of the Young Ladies Radio League, a Life member of the American Radio Relay League, a member of the Western Country Cousins, the Bishop Amateur Radio Club, and many other amateur radio groups. She was married to Fried Heyn WA6WZO for the past 57 years. Read the full story on the ARRL News. Emily Dawn Calandrelli, KD8PKR, is an engineer from MIT, astronautics expert, former NASA employee and a licensed radio amateur. She is also the host of Xploration Outer Space, a Saturday morning children's television show in the STEM (Science, Technology, Engineering and Math) block of Xploration Station, and a field correspondent on Bill Nye Saves the World. Emily is a professional speaker and presents on the topics of space exploration, scientific literacy, and equality of the sexes in STEM. Calandrelli is also a contributing writer at TechCrunch where she writes on technology developments in the space industry. 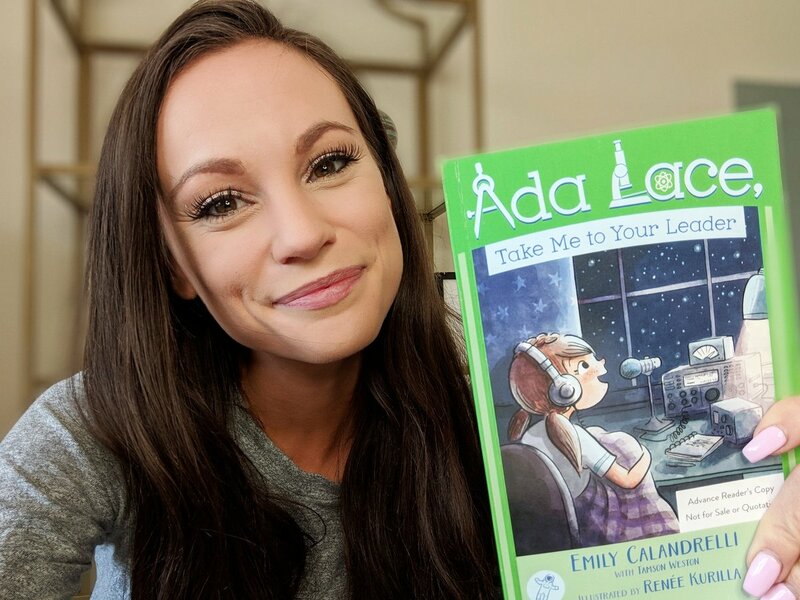 Emily writes about "Take Me to your Leader", the latest book in her "Ada Lace Adventure" series of STEM books for children age 6-10 [no doubt a take-off on the historic Ada Lovelace]: "I'm excited to share the cover of the third book in the Ada Lace series! In this 3rd book, Ada learns all about radio waves and makes unexpected contact." This and other books of the Ada Lace Adventure series are now available for order on Amazon. ARRL Assistant Editor Allison McLellan hosted this ARRL video in recognition of Women's History Month, celebrated in March in the US. ARRL also posted a video about the Hedy Lamarr’s Spread Spectrum tech innovation featured in the recent Hollywood film "Bombshell: The Hedy Lamarr Story." Allison won a "Bombshell" movie poster autographed by the movie director, Alexandra Dean, through a Facebook contest about Hedy Lamarr. Check out ARRL's video on Hedy Lamarr to learn more about Lamarr’s and other women’s use of radio technology. The Ethel Smith, K4LMB, Memorial Scholarship which pays $2,000. 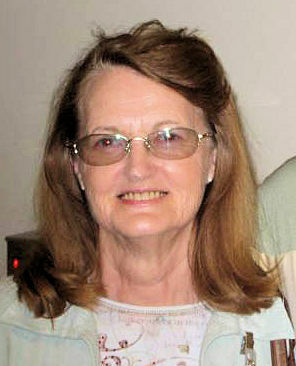 The Mary Lou Brown, NM7N, Memorial Scholarship which pays $2,000. The Martha “Marte” Wessel, K0EPE, Memorial Scholarship which pays $1,000. Intend to seek a Bachelor’s or Graduate degree from a U.S. college or university. There are no residence restrictions and non-US Amateurs are eligible. Preference will be given to students studying communications, electronics, or related arts and sciences. The Ethel Smith and Mary Lou Brown scholarships will be awarded to full-time students. The Martha “Marte” Wessel, K0EPE, Memorial Scholarship is intended for a part-time student who is working full time while a student. The cut–off date for applications is April 30. If you are not yet a member or have not yet renewed for 2018, a check for $15 will continue your support of the YLRL mission to encourage and assist women and young ladies throughout the world to participate in amateur radio through YL contests, YL nets, member news in our bi-monthly newsletter YL Harmonics and scholarships for young ladies who pursue studies in electronics, communications or related areas. Please mail a $15 check payable to "YLRL" with a filled out membership information form to your receiving treasurer, Carol Laferty, K4SAF, 55 E Cardinal Lane, Clearfield KY 40313. Here is a link to the membership form Thanks! P.S. YLRL hopes to have online dues payment set up some time within the next year. While your at it, why don't you send a paragraph or two (and a photo if available) about you and your activities to me at district6@ylrl.org for inclusion in an upcoming YL Harmonics? Wouldn't you enjoy sharing your passion for amateur radio with girls who are curious about the fascinating world of communications and electronics? Girls of all ages love hands-on activities and the opportunity to experience contacts over amateur radio, and you can provide the learning experiences that can lead to an amateur radio license of their own and to fulfilling careers in STEM (Science, Technology, Engineering and Math). Check the event calendar on your local Girl Scout council website and apply to participate in upcoming STEM events. Offer to set up an amateur radio station at STEM events, give demonstrations to local scout troops, answer questions about your interest in amateur radio and demonstrate operating procedures and let them talk on the air!. Last year we conducted a very well received amateur radio booth at the Girl Scouts Heart of Central California STEM Expo in Sacramento. We plan another hands-on operational amateur radio station at the March 3 Placer County STEM Expo in Rocklin with youth oriented literature about amateur radio, the YLRL, Radio Scouting, and the Girl Scouts Radio and Wireless Technology Patch Program. Please contact Carol KP4MD at district6@ylrl.org if you wish to participate or need assistance, literature or resources for a local event. Women amateur radio operators of all ages (YLs) and members of YL clubs and groups attended the YLRL Forum at the 2017 ‪‎ARRL‬ Pacificon Division Convention. The forum was held on October 21 from 1:30-3:30 pm in the Tri Valley 1 Salon of the San Ramon Marriott. Following introductions of the attendees and a welcome by YLRL District Chairwoman Dr. Carol Milazzo, KP4MD, Convention Keynote speaker Carole Perry, WB2MGP started the presentations with a testimony of her beginnings in amateur radio, her years of successfully integrating amateur radio into a middle school curriculum while teaching at a New York City public school, and her award winning work as Director of the prestigious Radio Club of America promoting amateur radio as a stimulus for youth to pursue careers in communications and STEM fields. The forum continued with Emilia Seiferling, KI6YYT and Debbie Johnson, WB6LVC presenting slide shows on the Ladies of the Net special event activations aboard the USS Hornet and the RMS Queen Mary, video clips of these events from the Ham Nation webcasts and of an outreach event at the Girl Scouts STEM fair in Sacramento. Many attendees also shared and discussed YL activities through our district. Many thanks to all who visited and assisted at the YLRL Booth throughout the Convention weekend! Please welcome these new YLRL District 6 members for 2018! Sue holds a General license. She is a member of Ladies of the Net and is active on 40m. Art, AA6AM is her OM. Elise holds a General license and is a Teacher. She is a member of Palo Alto ARA and Foothills ARS. She is the Los Altos CERT Supervisor. Allie holds an Extra license and is in CSR. She is a member of Crescenta Valley RC and ARES (LAX-NE). So far she is only on DMR. Jo holds an Advanced license and is Retired. She is a member of Mountain Top ARA and is active on 2 and 440. Her former call was KB6BWA. Dee holds an Extra license. She is a member of Mountain Top ARA, CRC40, and Ladies of the Net. She is active on 40 and 20m, as well as vhf/uhf. Her bio on QRZ adds more information. Her former call was KF6JPM. Michelle holds an Extra license and is a Housewife. She is a member of Benicia ARC (VP and Media Director), Ladies of the Net, Mt. Diablo ARC, and USS Hornet ARC. She maintains web pages for the clubs and gets on nets often. Her OM is George, KK6AHL. Susan holds a General license and is a Teacher. She is new to the hobby, but already teaching a Technician class at high school. Julia Lutch KG6OYS, Davis CA. Julia holds a Technician license. She joined at Pacificon. Lila holds a Technician license and is a Massage Therapist. She is a member of Mt. Diablo ARC. She is interested in becoming more active. Mike, KD6CNS is her OM. Jodi holds an Extra license and is a Registered Nurse. She is a member of Mountain Top ARA and San Bernadino ECS. She and OM Tracy, WM6T operate from their RV as well as from their home. On September 7, 2016 the Ham Nation webcast was an all YL episode. Here is the video with a table of contents. In her talk, Katie Allen Breen WY7YL explains challenges that she and many other YLs face when entering amateur radio. 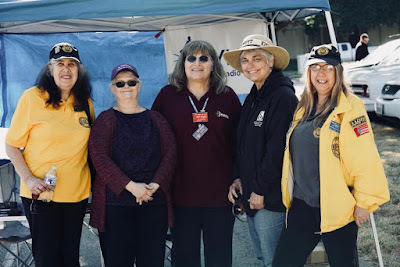 In August 2016 I started serving as District 6 Chair (California) for the Young Ladies' Radio League (YLRL), ARRL affiliated and founded in 1939 with a current international membership of about 1,100 YL (Young Ladies, that is, women and girls of all ages) ham operators. The YLRL's primary purpose is "to encourage and assist YLs throughout the world to enter into the Amateur Radio Service." 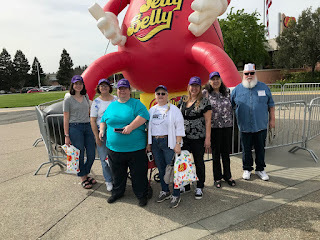 The YLRL encourages women's and girls' participation in amateur radio through YL contests, YL nets, member news in the bi-monthly journal YL-Harmonics, and also sponsors scholarships for YLs who pursue education in communications and electronics or related areas (science, technology, engineering and math). A majority of newly licensed YLs are Technicians. More YL role models and all Elmers are needed to reach out and welcome both new and inactive YLs and encourage them to get on the air and to upgrade and join our mainstream amateur community. 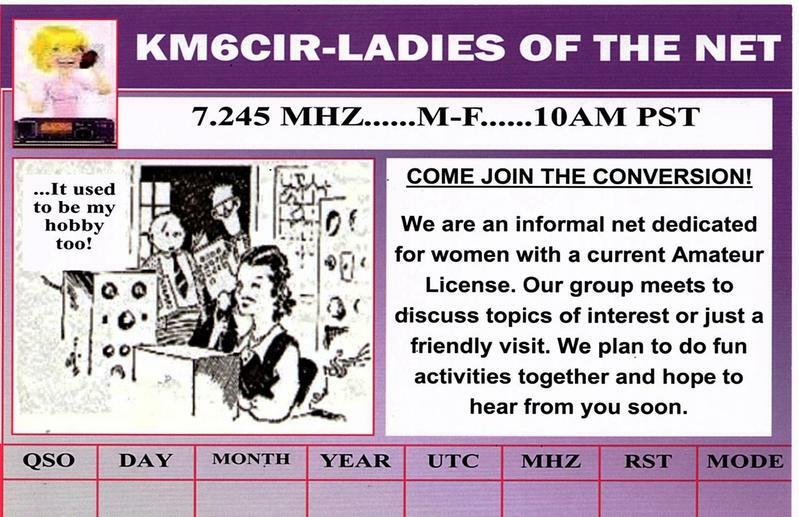 (The "Ladies of the Net" YL net meets on 7245 kHz LSB weekdays at 10:00 am Pacific Time). We see new opportunities to include YLs in our youth outreach through the Maker movement and through helping to implement the new ARRL "Radio and Wireless Technology" Patch Program in our local Girl Scout troops. This is good for the growth and health of our entire amateur community. Please do encourage YLs on the air, in your communities, and in your clubs to join this mission to welcome more YLs to our fascinating hobby by contacting me or the YLRL. The ARRL has begun offering a new Girl Scouts "Radio and Wireless Technology" patch program that offers opportunities for participants to learn about wireless technology, including Amateur Radio. Scout leaders and Amateur Radio volunteers associated with the Greater Atlanta Girl Scout Council and Girl Scouts of the Green and White Mountains developed the program to incorporate information and exploratory activities that provide a backdrop for understanding radio communication. The program will encourage Girl Scouts to take on activities to gain knowledge and skills, as well as kindle an interest in science, technology, engineering, and math (STEM) subjects and careers. "The initiative for the program came about through my conversations with hams who wanted to work with Girl Scouts as well as Boy Scouts and wanted a patch program that would introduce ham radio, as the 'Radio' merit badge does in the Boy Scouts," said ARRL Education Services Manager Debra Johnson, K1DMJ. "I was introduced to a group of leaders with the Girl Scouts of Greater Atlanta who wanted to work in developing a new, fun patch program for radio that would fit with the Girl Scout Leadership Experience structure. This group was joined by Jill Galus, KB1SWV, of the Girl Scouts of the Green and White Mountains in New Hampshire. We collaborated on this over the course of several years." Galus's father, "Skip" Youngberg, K1NKR, and a team from the Nashoba Valley Radio Club helped test-drive the new patch program with Girl Scouts in New Hampshire, during "Thinking Day on the Air" this past February. The program defines the requirements for Girl Scouts to earn the patch at the Brownie, Junior, Cadette, Senior, and Ambassador levels. Girl Scouts can learn the fundamentals of radio communication and wireless technology, from broadcasting to smartphones, and apply what they learn to connect people, enhance safety, and explore related careers. In addition to acquiring the fundamentals, participants can explore radio science through hands-on learning with Amateur Radio, and use radio to talk around the world and for public service. They also can learn about the role of wireless technology in everyday life and in careers. Read more. Join YLRL and receive YL Harmonics for more YL News!